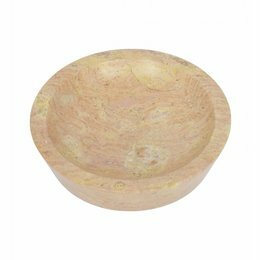 Thinly cut soap dish made of our beautiful Java Rose marble. 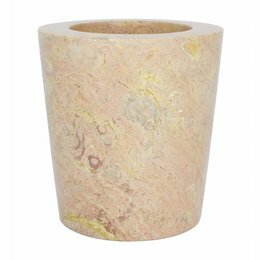 This beautiful marble variety is characterized by the many colors and glares that occur. 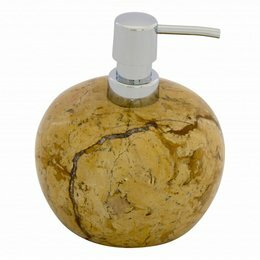 Beautiful large soap dispenser made of java rose marble from Indonesia. 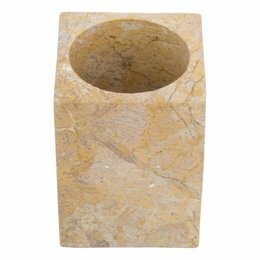 Beautiful natural stone with many colours from deep yellow to blue green and black. 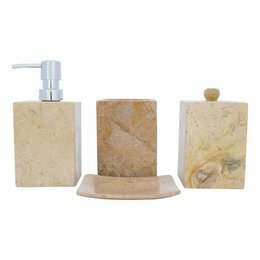 A marble soap dispenser in your bathroom completes the picture. 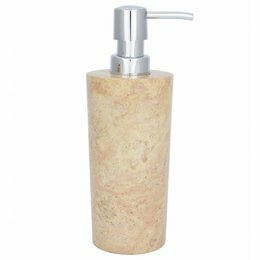 With its beautiful pink shades this soap dispenser will not look out of place in your home. 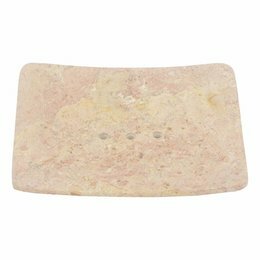 This nice soap dish made of a beautiful pink natural stone called java rose is made in Indonesia for you. 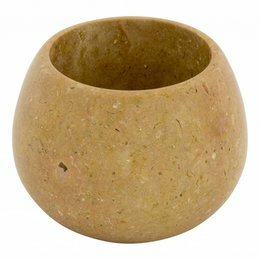 This beautiful marble has a beautiful structure. 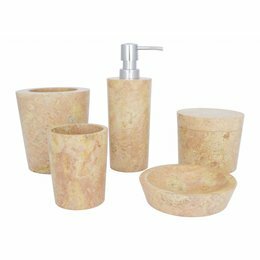 This 5-Piece Marble Bath Set Java consists of a Soap Dispenser, Soap Dish, Toothbrush Cup, Jewellery Box and a Toilet Brush Holder. 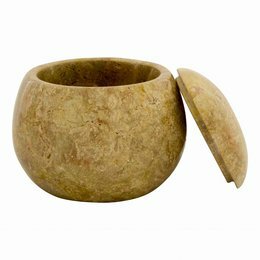 A jewellery box made of marble is ideal for storing your cotton swabs, for example. Length x Width x Height 8 x 8 x 13 cm. 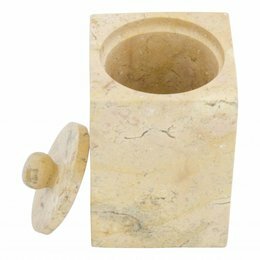 This jewellery box made of beautiful java rose marble is ideal for small items such as hair bands, necklaces or other stuff. 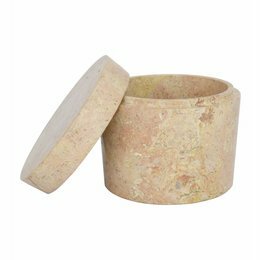 A jewelry box made of this beautiful red marble will ensure that you have a nice spot for all your small items such as hair bands and the like. 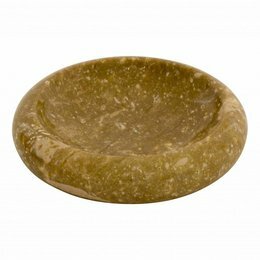 A marble soap dish for your hand soap ensures that hand soaps are no longer lying around on your sink and make your entire sink dirty. 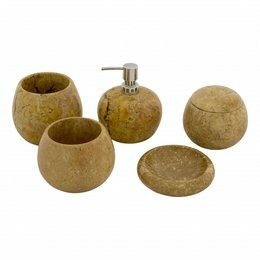 This 5-piece bathroom accessory set Java Dalu consists of a Soap dispenser, Toothbrush Cup, Toilet Brush Holder, Soap dish and a Jewellery box. 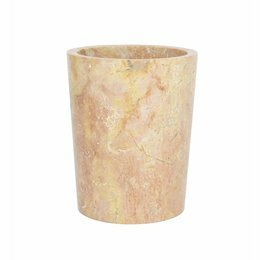 A toothbrush cup made of our beautiful Java Rose marble is a welcome addition to your interior and gives your toothbrushes a nice permanent place. 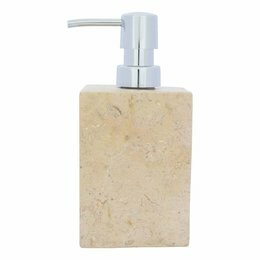 This beautiful and elegant soap dispenser made of our Java Rose marble will give your bathroom, kitchen or toilet a piece of luxury that it deserves.